We don't see Marvel undergo very many drastic changes with their films, at least not publicly, but it was hard to miss how they recalibrated on Avengers 3 and 4. Right around the time of Avengers: Age of Ultron, Marvel revealed their plans for Avengers: Infinity War Parts 1 & 2, which would hit theaters in May 2018 and May 2019. Awesome. But in the time since they have moved away from that plan, making sure to differentiate between Infinity War and whatever Avengers 4 turns out to be. He would go on to use the example of the final Harry Potter novel which was split into two movies. 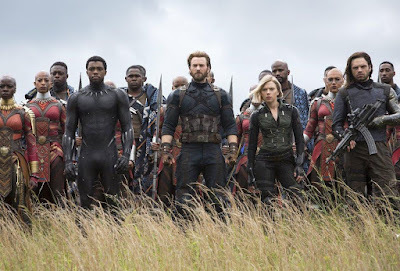 It's an inexact comparison, though, since Avengers 4 won't necessarily feature the same group of characters. It's widely expected that many of the original Avengers will perish during Infinity War, leaving a new group of heroes to continue the battle against Thanos. Avengers: Infinity War opens April 27th.